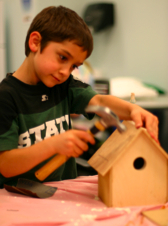 Tuesday night’s birdhouse workshop at the YMCA in Grand Rapids was a loud success. 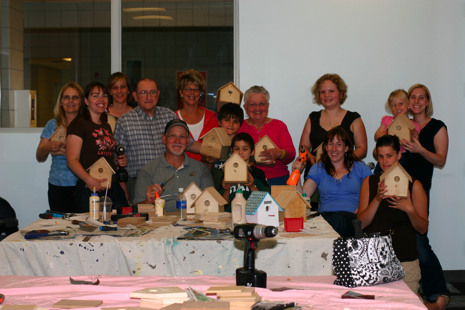 We had some craft club regulars and several first timers join us to learn some great woodworking tips from Dan Boy, the master woodworker I featured in Sunday’s craft column. I ended up bending more than my share of nails, but others who attended seemed well adept at wielding hammers and drills. 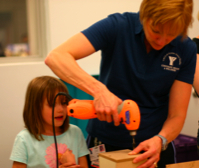 A special thanks to Dan for preparing all the kits and teaching the workshop. We had a great time!